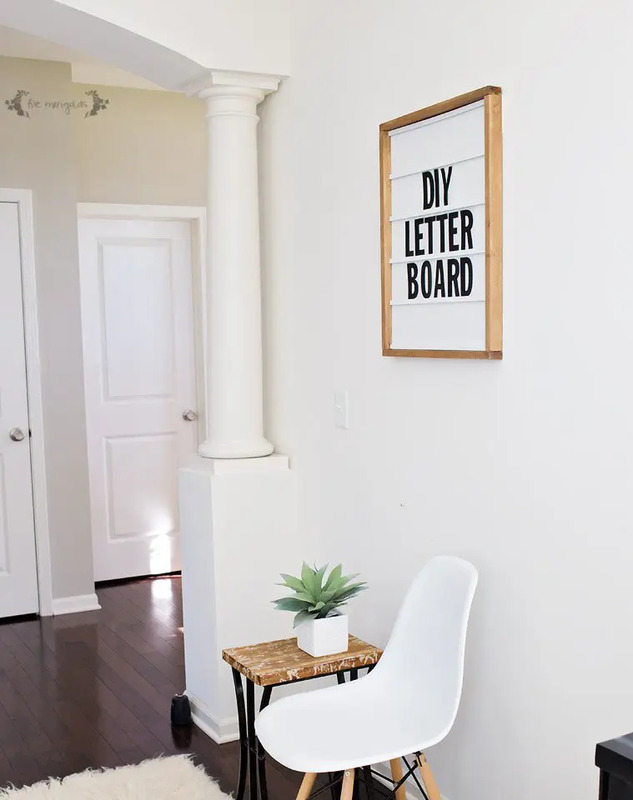 A DIY Marquee Letter Board is part marquee light, part letter board, 100% Instafabulous. These changeable letter signs are inexpensive and easy to make. Word to your mother. Well, hello there! 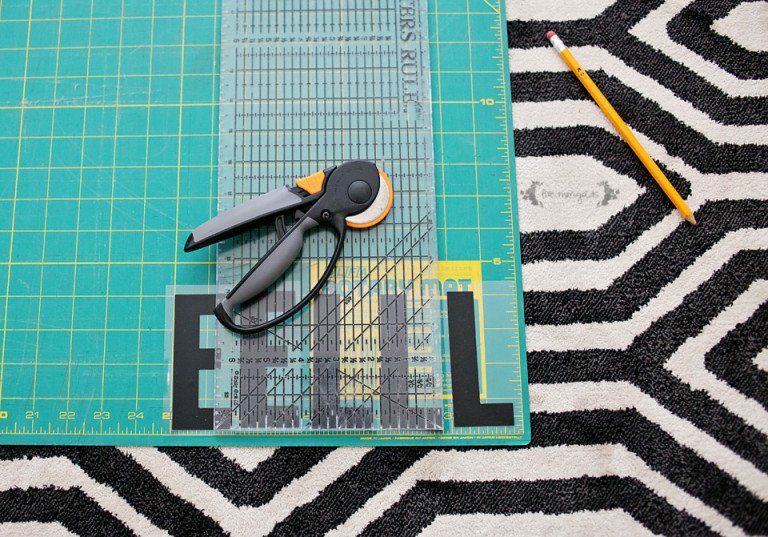 Today I’m sharing a tutorial for my latest project: a DIY Marquee Letter Board. I’d been wanting to take on a fun project, and was initially inspired by the marquee signs that are all over Instagram these days. Totally cute, but just not something I can envision in my home as a permanent fixture. I’ve also been crushing on all the beautiful felt letter boards out there, but they are out of my price range. So as usual, I improvised and found a super simple way to make my own – on a budget, of course. The result is a unique and impressive piece of wall art that will surpass the current trend. Let’s get started! I started with leftover particle board from Dub’s engineer prints project. 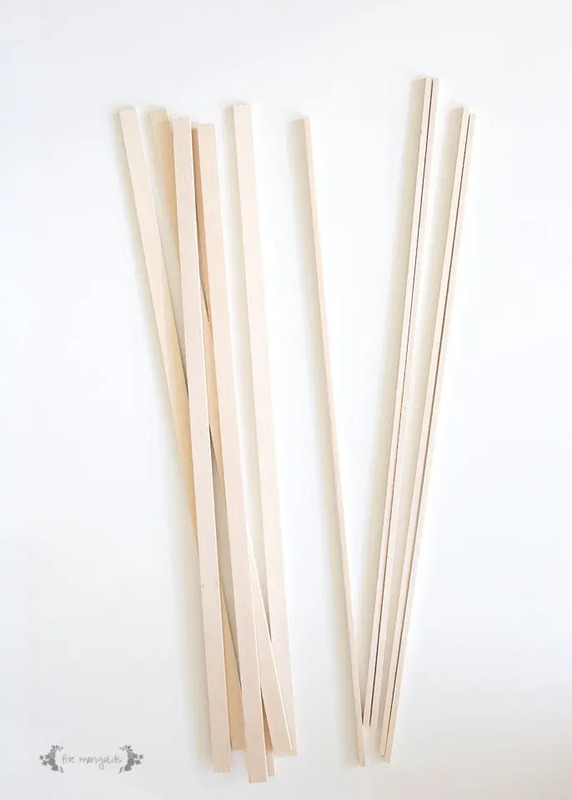 Then, to create the ledges for the letters to sit on, I bought some strips of Balsa wood from the craft store. I bought two sizes: 3/8″ wide, and then a much smaller square strip. I cut them to size to fit the width of the board, then glued them together like this. Then, I measured and re-measured my particle board, using wood glue to attach the wood ledges to the board, evenly spaced. We finished it off with a simple DIY wood frame, similar to what I made for the DIY engineer prints in Dub’s room, and the DIY Proverbs 31 Canvas frame in Eve’s Room. 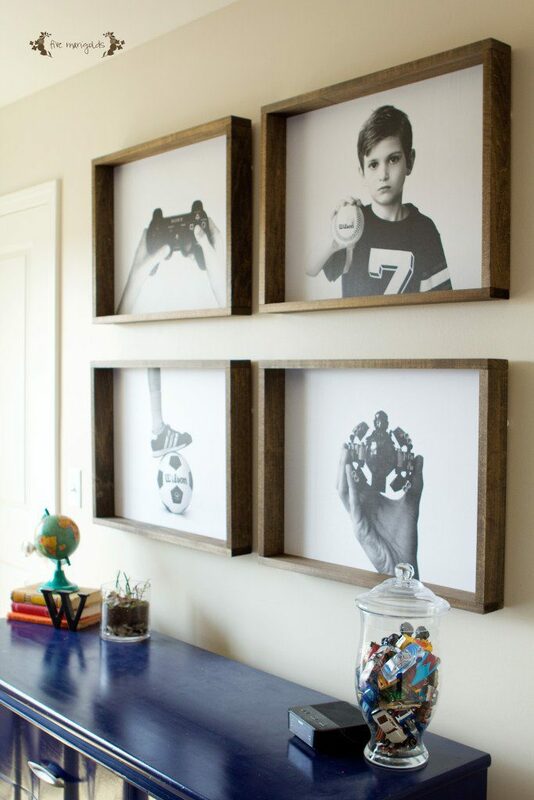 I’m a huge fan of these inexpensive, DIY frames! I cut some clear, flexible crafting sheets to size and affixed 4″ vinyl letters. (I’ve also heard this works great for the sheets). The result? If the marquee sign and vintage letter board had a baby, this is what I think it would look like. This marquee board gets a lot of attention at my house, and you can clearly see I have endless witty sayings to add to it, like “DIY Letter Board.”. Okay well…I could use some help on that part. 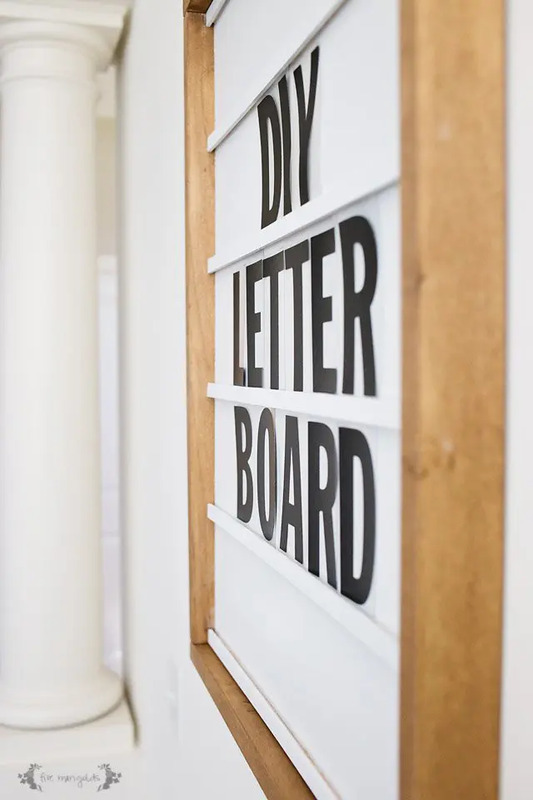 Every hipster home in America has a felt letter board or a marquee sign, but I’m just gonna say, these wooden changeable letter signs are where it’s at. Unique enough for the hipsters. 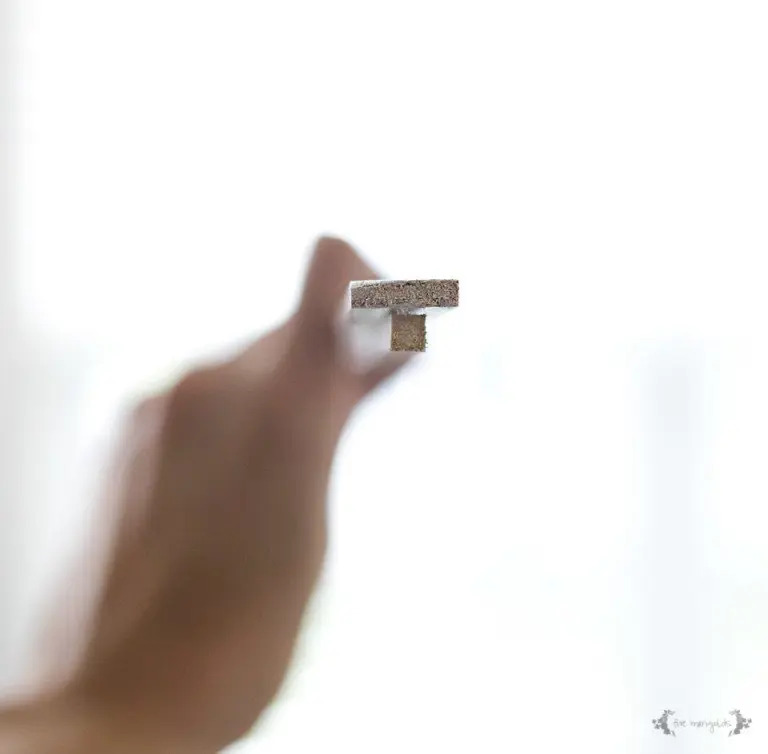 Simple enough for the minimalists. Snarky enough for the type of moms who listen to 90’s gangsta rap when they work out. You know…if that type of person even exists. What do you think of my DIY Letter Board? 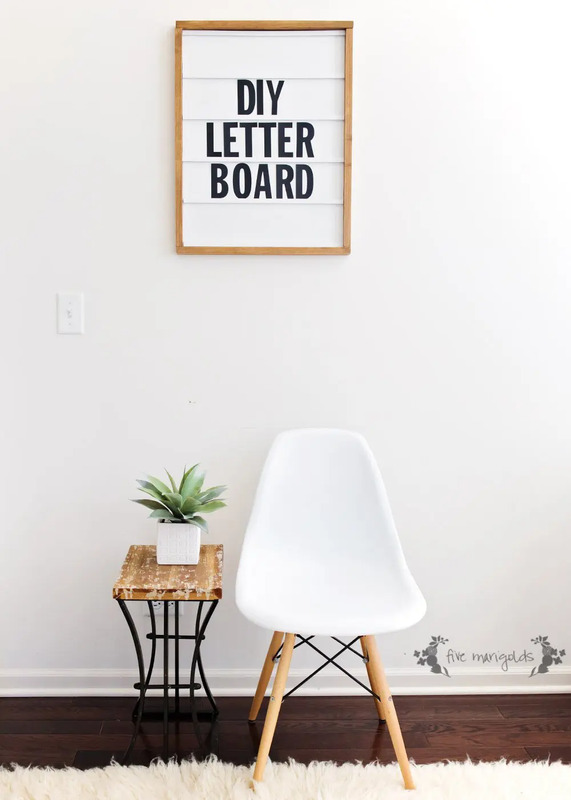 What would your letter board say? That’s so cool! I bet it would be fun to write seasonal messages or just sweet wishes for the day on it. Trust me, I’m going to have way too much fun with that! So so cute! 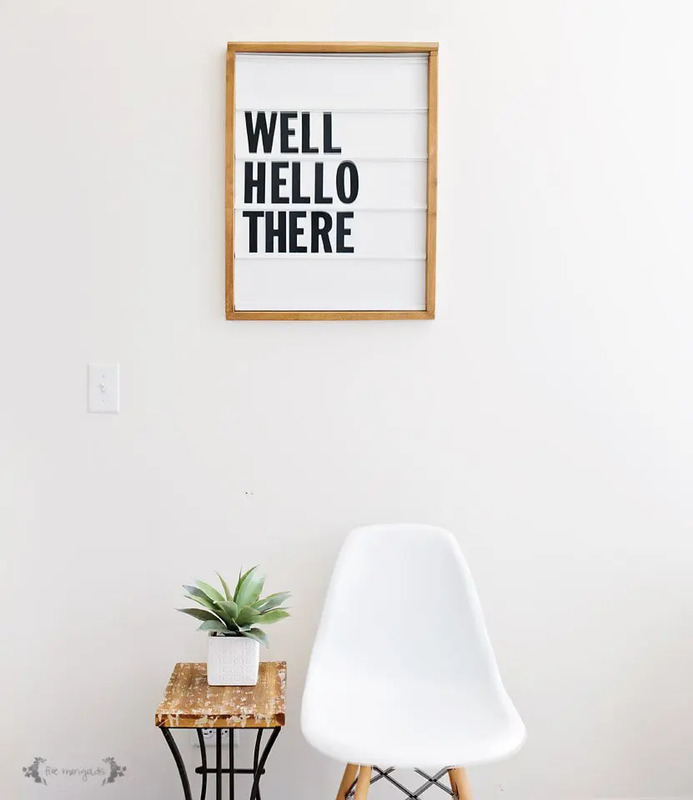 I love those letterboards too and AMEN to them definitely being out of my price range! Great diy idea! I love this! 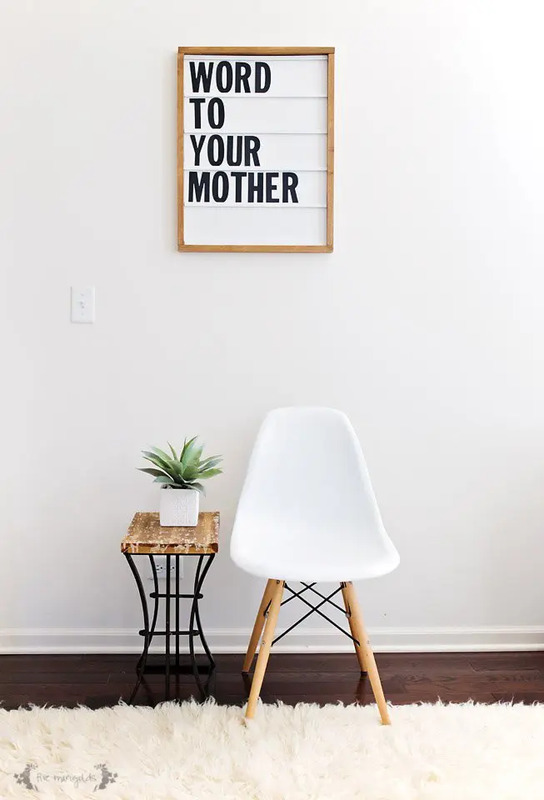 I’ve been thinking about buying a letter board, but now I might just make my own! Dope DIY and your pictures is are gorgeous! Im gonna need to make this for my office so much cuter than buying one! No way! This is so smart and so darn cute! I love it! I am pinning this and will be making it for sure!! I’ve wanted to make one of these for awhile now. Thanks for the tutorial. I have two very empty shelves that need some fun and love! Visiting from Welcome Home Wednesday party. This is awesome! I’ve been wanting one of these for awhile, but I also couldn’t get over the huge price tag. What a clever idea! omg this is amazing!! these are so expensive normally! I can’t believe how easy you put this together! This would be on cute in a guest room too! 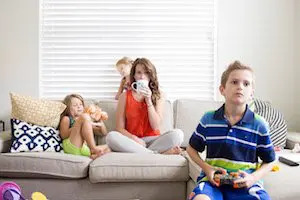 You could add a wakeup time or like Internet password or a cute welcome message. Ummmmm….. this is beyond cool! Love the look of it and how you can change it out. So very creative – thanks for sharing!! OH the things I would write on this…..I love this idea! Hi Kathryn, I mostly used my Rotary Cutter but have also used a sharp pair of scissors (I find myself cutting new/more letters over time!). The plastic is thin enough that it cuts through easily! Where is the craft store is the plastic found? Help! I cant find it!